Get EBOOK: 20 Healthy Holistic Snacks! 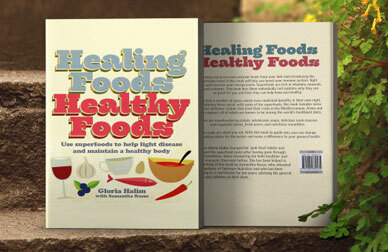 Gloria Halim is the author of Healing Foods Healthy Foods and a holistic health & wellness coach. 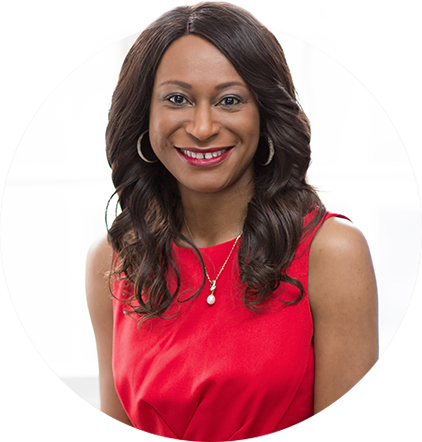 She trained at Institute for Integrative Nutrition (IIN) in New York and is certified by the American Association of Drugless Practitioners (AADP). 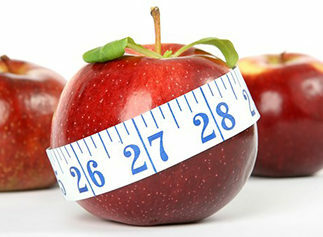 Gloria is a member of the International Association for Health Coaches (IAHC). She is also accredited by the Federation of Holistic Therapist (FHT). Coming from a corporate background Gloria understands the stress and pressure that occurs in that arena which is why she decided to go back into the corporate world to share her experience, provide the right information and tools to help support individuals in preventing dis-ease, reducing stress, boosting energy and live a healthy, more vibrant life. Gloria believes that having the right information and tools to help improve health will go a long way to prevent serious disease. She is also a member of the British Society for Integrative Oncology, the International Association of Health Coaches, and a board member of TPOT Charity (The Power of Touch). Blenders retain everything from the food. They take the fibre and pulp and blend it all together. Juicers separate the pulp from the juice and we drink the juice only. When you first start out, juicing is a lot easier and gentler on your body. Whether you are juicing to treat a health condition or just to stay healthy, you will experience a lot of detoxification. If you are not used to all that fibre, the juice will still give you loads of energy. When you advance, and if you enjoy the texture, go ahead and make smoothies. 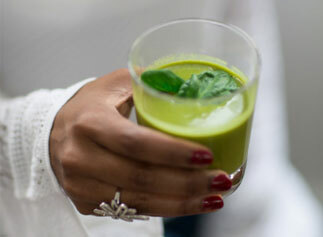 When we juice green vegetables, we liberate the chlorophyll and our bodies immediately absorb it. Chlorophyll is a detoxifier, deodorant and is an incredible healer of inner and topical inflammation and wounds. The chlorophyll remakes our blood. It is centered on magnesium and our blood is centered on iron. You need to be careful to use simple juices if you are on a lot of medication. If you are very sick, you will probably release toxins very quickly. This will happen in the form of bowel movements. Sometimes your liver dumps a lot of toxins. Chlorophyll is a neutraliser of toxins and can deal with anything you have. It is good for kidney, heart and liver conditions. Green juice is an amazing detoxifier. Whichever method you decide to go with, you’re getting the nutrients in and rocking your way to a healthier, stronger immune system! Work today gets really stressful and we tend not to fully concentrate and be present at the best of times, when it really counts. Quite a few people tend to get that afternoon slump round about 2 or 3 pm when you feel totally tired, lack concentration and want to reach for that blast of caffeine and/or sugary treat like a great, big donuts being passed around the office. According to our body’s natural Ultradian Rhythm, we are built to concentrate fully for no more than 90 to 120 minutes at a time, after that time we need to take a break from what we’re doing especially if sitting in front of a computer screen. Eating the right food for your health and brain is so important and should always be the first change that should be made. Eat a plant-based diet packed with plenty of fruits and vegetables. They are high in vitamins, antioxidants, and phytonutrients your brain needs. Cutting out processed foods and sugar will go a long way to reducing brain fog. Trying to do more than one thing at a time, listening to loud noises, and visual stimulation (such as from a T.V.) makes concentration much more difficult, and being around them or doing them too much can put you into a habit of non-attention which can be hard to break. So focus on doing one task at a time, you’ll find you focus better and get things done a lot quicker. Your brain and every cell in your body need oxygen. Brain cells can live only a few minutes without it. Yet, counterproductively, many people tend to old their breath while concentrating! You can increase your oxygen intake by improving your posture and learning to breathe properly. Most people breathe shallowly. Practice breathing deeply from your diaphragm, when you inhale your diaphragm expands and when you exhale, your diaphragm contracts – that’s the correct way we should be breathing! Go outside and breathe deeply or take a brisk walk. This is quite important if you’re cooped up in an office environment with all the bright lights and air-conditioning or heating running constantly. Make yourself do this often and you’ll be able to return to your task recharged and ready to focus more creatively. Drinking water may be the easiest way to improve memory and concentration. Water makes up 75% of the brain but most of us are chronically dehydrated. Even mild dehydration results in headaches, shrinkage of brain tissue and temporary loss of cognitive function, including concentration and memory. Have a bottle of filtered water on your desk at all times and sip slowly through the day. 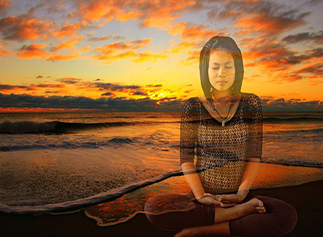 Meditation is the most powerful of all concentration enhancement techniques. Yes, you can meditate at your desk or wherever you are for a few minutes at a time. Learn a few simple meditation techniques and practice them at least five minutes daily. You can’t turn on the TV, drive down the road or go to a party without being confronted with Britain’s hottest obsession especially at this time of the year: weight. Diets are a billion-pound industry; companies spend millions and millions luring you to try the latest diet (low carb, high protein, low fat, no fat, you name it) with promises that this will (finally!) be the solution—your shortcut to a thinner body. Advertising efforts also deeply affect our children, who develop distorted body images and are often on diets as early as nine or 10 years of age. Our culture touts diet pills, celebrity workouts, convenience foods and trendy diets to help us achieve our desired weight, but these quick-fix solutions have backfired. Britain’s populace has reached its highest weight in history. Almost half the population are overweight; one-third are obese. Diets steer us away from our common sense and dig deeply into our pocketbooks while eliciting few, if any, lasting results. Here’s another reason – they are too restrictive. People who fail on diet plans are not flawed or weak. 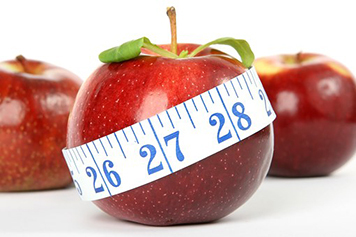 Diets by nature require discipline and restriction at levels that are unsustainable by a healthy human body and have an adverse effect on hormones. Given half a chance, your body will balance out by itself, but this is only possible by getting out of the diet mentality and listening to what you truly need. Imagine taking all of the outward energy you expend on diets, fads and gimmicks and turning it inward, so that you can listen to your heart and inner wisdom. There is no such thing as a quick fix; you already have everything you need within you. With careful thought and loving reflection, you can feed yourself in a nourishing way. Working with your body rather than against it will bring you increased energy, stabilised weight and sustainable health. Coming to the end of my treatment for breast cancer, I had questions such as why I got sick and wanted to find out what I could do to heal myself. I embarked on extensive research, spoke with people in the medical profession, functional and holistic doctors and therapists and discovered the best way to heal and avoid dis-ease is to start with what you feed your body. Discovering the healing benefits of super foods, spices, herbs and oils opened up a new world into health and wellness. I felt the need to share this information with as many people as I could in order to help them prevent dis-ease as that has now become my message and passion which led to the birth of my book Healing Foods Healthy Foods which includes yummy recipes to try out. Years ago, I worked in the corporate world and I understand the pressure and stress that comes with working in that arena so I created the wellness programme called The Thrive Technique ™, to help support and educate others. My workshops are based on the five pillars The Thrive Technique ™ that incorporate advice and life hacks on Reducing Stress, Balancing Hormones, Anti-inflammation, Juicing to Nourish, Life-Enhancing Foods, and Boosting Energy. Contact us to discuss booking my signature corporate workshops. The programs consist of two 1-hour sessions per month where we focus on the specific health and wellness goals, cutting out processed foods and introducing and learning about healthier options. Looking into exercise, emotional and hormonal health, relationship and spirituality in order to try to achieve balance as a whole in the individual. This detox program enable you take time out, rid your body of toxins, boosts energy, nourish you and best of all helps you lose weight. The 12-days will show you how to reduce painful inflammation, integrate exercise and vital movement into your daily life, and transform your body into its best state of being! The body boost program is a 3 month 1-2-1 coaching program and focuses on the needs of the individual. No one size fits all because we are all different. We focus on nutrition, physical activity, career, relationship and spirituality, which make up the whole person. I wanted to take this opportunity to say that the best workshop I have attended so far was last week with the nutritionist Gloria Halim. It was absolutely a life changing experience and Gloria’s words about good food and spiritual nourishment really touched me. How amazing to see her path? How inspiring to see someone so passionate about helping others, I truly believe bad food can kill…Her warmth and generosity really made an impression on me and I am sure on other ladies present. I really hope Gloria will run another workshop. After hearing Gloria speak at a workshop booked by my company, I signed up to the Body Boost Health program primarily because I needed to improve my health and well being. I am an active individual and exercise daily, however over the years I had acquired unhealthy habits such as wine and eating too much protein and not enough of the complex carbohydrate that my body needs. I constantly felt tired, hormones all over the place and constipated so I really needed help. I feel great, less stressed, my skin looks great and I feel alert and my mood is much better too. I’ll definitely recommend this program to all my friends and family. If you’d like more information on the programmes I offer, get in touch!